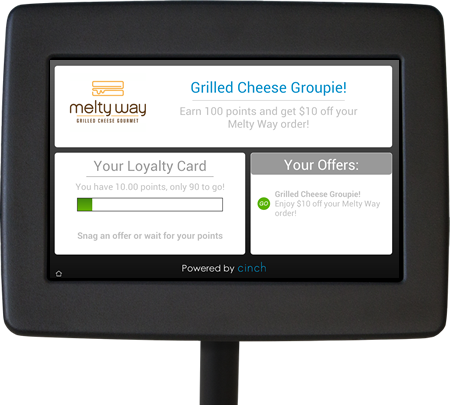 Cinch makes it easy for your customers to sign up. No cards, no apps, just simple! Customer joins in seconds by entering their mobile number. Because it’s so quick and easy, participation rate goes way up. A few seconds after their first visit they’ll receive a text message with a link to complete their profile, where you’ll get additional demographic information. Over 90% of people who join also opt in to receive marketing via text. 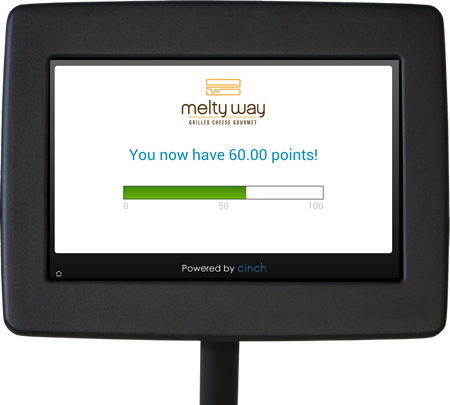 Points are automatically added to their account when their cashier completes the transaction. It’s fast and easy for your customers and employees. When a customer earns a reward, on their next visit it will be waiting in the kiosk. They simply tap it to redeem, and their loyalty to you grows. One offer to guys, another to gals. One to your regulars, another to first-time customers. We have auto-pilot too! Send a special treat automatically on someone’s birthday, or when they haven’t been in for 30 days. We also track redemptions automatically, so you’ll know which offers work and which don’t. Occasionally after their visit, they’ll receive a text with a link to a survey. View data in real-time, encourage positive survey takers to do a review on Yelp, be alerted in real-time if someone is unhappy. You’ll know how many customers join & use your loyalty program each day, how many rewards are earned and redeemed. You’ll even know which items individual customers purchase. 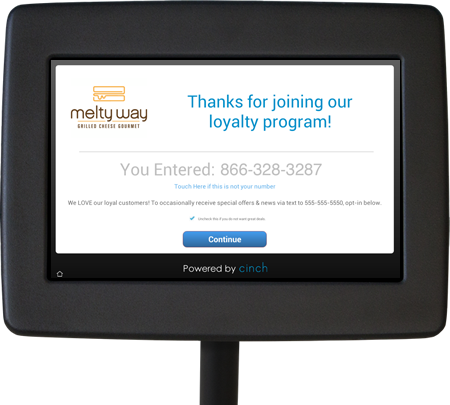 All your customers need to join your loyalty program is their phone number. No cards to carry, no apps to download. Your customers will tell you everyday how much they love this simplicity, and you will too. 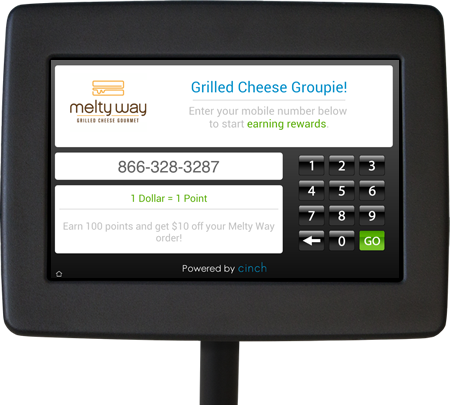 Simply decide how many points your customers need to earn and what their reward will be. They will get one point for every dollar they spend. Once they earn a reward they simply enter their number in the kiosk to redeem. Everything from setting up your account to installing the kiosk to using FavoriteEats every day is quick and easy. Many customers find their line even moves quicker than it did when using old fashioned loyalty cards.